If you’ve seen a picture of Beijing in recent times you’ve probably seen people wearing masks to cover their mouths and noses as well as a dark fog enveloping the city. This is smog of Beijing that kills more than 1.6 million (17% of all deaths) in China every year. It’s causing a lot of health problems and is legitimately a demonstration of what Global Warming could look like. PM2.5 levels are 17% higher than they ought to be according to the World Health Organization. 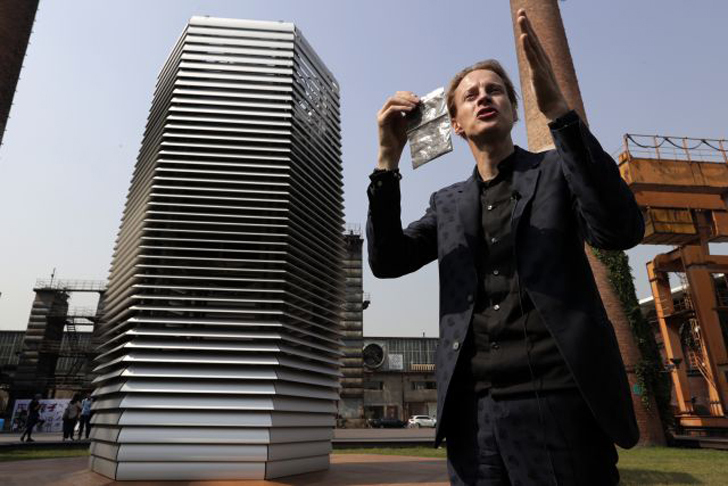 Now, to alleviate the pollution, Dutch Artist Daan Roosegaarde has built a smog sucking tower that turns carbon into jewelry. 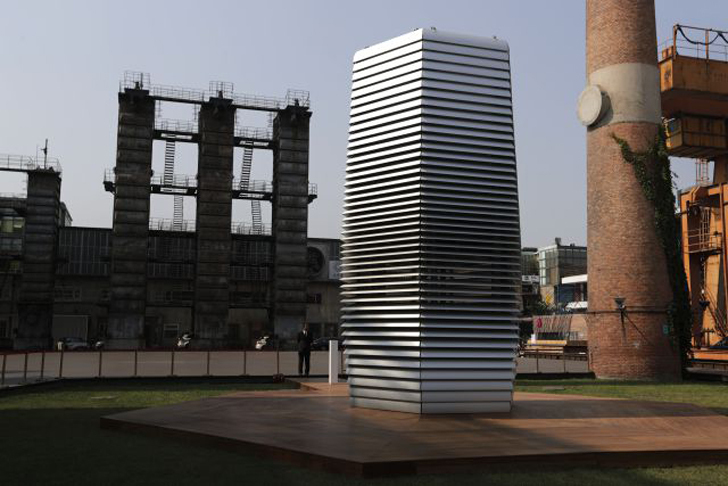 The tower treats around 30,000 cubic meters of air per hour and extracts 75% of the pollutants PM 2.5 and PM 10 (Particulate Matter). The tower couldn’t have been built without the Kickstarter campaign where it raised $127,000 in August last year. The Tower will tour three other cities from China after it’s stint in Beijing. Daan Roosegaarde is an artist who’s been talking about building a machine like this for a long time. 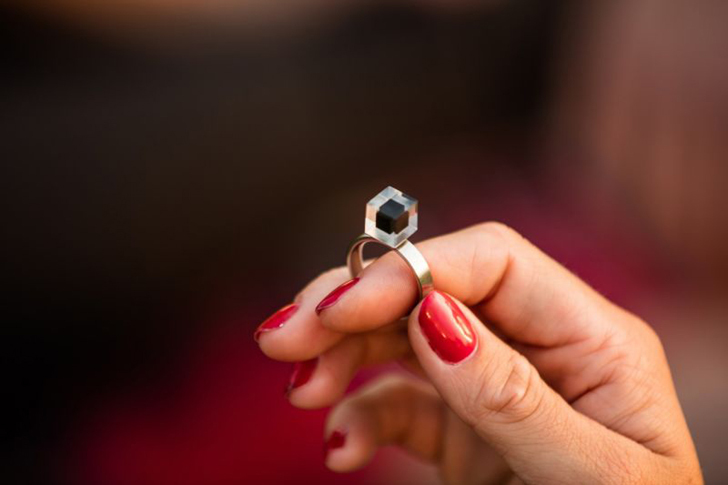 He came up with the idea to clean up the world’s air and selling the residue as jewelry. The tower can compress 1000 cubic meters of raw carbon in to rings. It’s a cost effective and capitalist way of doing things that’s philanthropic and brilliant at the same time. 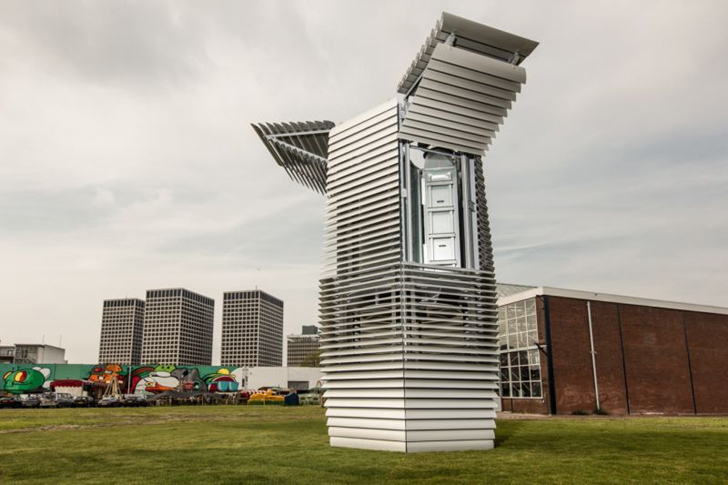 More towers like this around the world can solve the problem of excessive greenhouse gas concentrations in the air (400 ppm CO2 in the air) and give out a beautiful result like a diamond ring.